When using PostgreSQL, it’s tempting to use a SERIAL or BIGSERIAL column type to auto-increment Primary Keys. However, this article will show you that this is not a very good idea when using JPA and Hibernate. If you’ve been using MySQL, you know that AUTO_INCREMENT is a very popular choice. When migrating to PostgreSQL, you will notice that SERIAL or BIGSERIAL column types can be used just like AUTO_INCREMENT in MySQL. SERIAL is an auto-incremented integer column that takes 4 bytes while BIGSERIAL is an auto-incremented bigint column taking 8 bytes. Behind the scenes, PostgreSQL will use a sequence generator to generate the SERIAL column values upon inserting a new ROW. For this table, PostgreSQL creates a sequence called post_id_seq that is associated with the id SERIAL column. 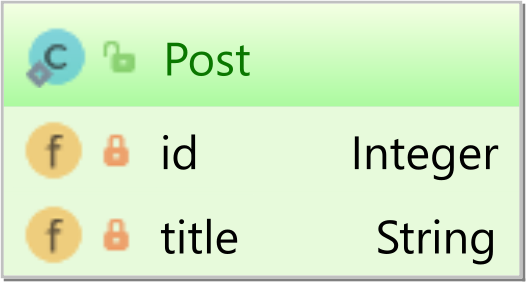 The id column is also the Primary Key of the post table, and it uses a SERIAL column type. The id column will be automatically be assigned the next value of the underlying post_id_seq sequence generator. The Post entity id property uses the GenerationType.IDENTITY generator because the SERIAL type acts as AUTO_INCREMENTED column. "High-Performance Java Persistence, Part 1"
"High-Performance Java Persistence, Part 2"
After inserting 2 Post entities and flushing the Persistence Context, the current value of the post_id_seq database sequence is going to be 2, and the next sequence value is going to be 3. As convenient as it might look, using the IDENTITY with Hibernate is not without issues. So, batching is going to be disabled when inserting entities. This is because, when persisting the entity, Hibernate needs to know the entity identifier in order to generate the key under which the entity is stored in the currently running Persistence Context. To know the identifier, Hibernate needs to execute the INSERT statement, so by the time the Persistence Context is flushed, all inserts have been already executed. Therefore, Hibernate can no longer batch the INSERT statements. Although convenient, and even suggested in many PostgreSQL book, the SERIAL and BIGSERIAL column types are not a very good choice when using JPA and Hibernate. Using a SEQUENCE generator is a better alternative since the identifier can be generated prior to executing the INSERT statement. Behind the scenes, the SERIAL and BIGSERIAL column types use a database sequence anyway, so the only difference is that the SEQUENCE generator calls the sequence is a separate database roundtrip. However, this can also be optimized with the pooled and pooled-lo optimizers. If the database server is close to the application servers and networking is fast, the extra database roundtrip is not going to be a performance bottleneck. For all these reasons, you should prefer using the SEQUENCE generator over IDENTITY no matter if you use PostgreSQL, Oracle or SQL Server. In our normal daily usage there’s no need for JPA to call the sequence, it’s just overhead, we need to refresh the entity anyway to get the DEFAULTed values. But a batch job would want to take advantage of the sequence for the performance reasons you mentioned. Do we need a way to select at runtime? In addition, the default sequence allocation size of 50 is messy when doing adhoc individual inserts. I can’t find a way to change that default globally so I’m having to set it in an annotation parameter on every entity which is quite cumbersome. Calling a sequence takes less than half a microsecond. When that becomes your bottleneck, I guess your queries are some of the fastest on this planet. A gap of 5, 10 or 50 is not messy at all. As long as you don’t run out of values, it doesn’t matter if sequence values are consecutive. The only thing that matters is to be monotonically increasing. Mapping the sequence for each entity is the way to go since not all entity require the same gap anyway. It all depends on how many you insert per Session. When I try to insert a record using identity strategy generation, I debugged and I found that hibernate looking for value with key “ID” but in ResultSet fields had only ID.